Drain Cleaning in Milpitas Ca | Clogged Drains, Sinks, & Tubs Cleared Fast! At Chandlers Plumbing, we see plumbing problems on a daily basis. We have experience fixing drain and plumbing issues and using preventative maintenance skills for our local customers in Milpitas. We offer drain cleaning inMilpitas CA seven days a week while specializing in all affordable and professional water heater and plumbing services. We are hot water experts and have helped many customers to resolve their plumbing issues in their home or business. If you’re in need of a professional drain cleaning inMilpitas CA, it’s time to give the experts a call. Do you have a slow or a clogged drain at your Milpitas CA home or business? We are one of few companies that provide excellent customer service that is committed to providing the best job possible and we believe that no job is too small. Need Fast & Affordable Drain Cleaning in Milpitas CA? Hydro jetting is a process that use large high-pressured volumes of water to clean the interior surfaces of pipes. As opposed to rodding, it cuts grease, debris and roots around the walls of any pipe. This debris is washed away and leaves your sewer and/or drain lines as clean as the day they were installed. At Chandlers Plumbing, we understand how important your drainage system is. We often times take it for granted or neglect to maintain it properly, but can lead to stoppages or overflow problems. Our certified plumbing technicians are ready with the latest and most efficient equipment to solve any drain system problem. Never allow for costly or disruptive problems to ensue before you get drain cleaning in Milpitas CA. Ask our California certified and professional technicians about whole house preventative drain cleaning choices. Proper servicing of your drainage system will give you extra time of trouble-free usage and bring you peace of mind. Have you noticed strange gurgling noises or are you curious what a foul smell is? If so, it’s time to call Chandlers Plumbing and have drain cleaning in Milpitas today. At Chandlers Plumbing, we will work to effectively both clean and flush out any clogged drains or pipes in your home or business. If you have clogged drains or pipes and don’t get this work done in a timely manner, you can have water back up or overflow problems that are disruptive and costly. Why take this unnecessary chance? Our Milpitas plumbing team will help you to prevent future problems at an affordable rate. 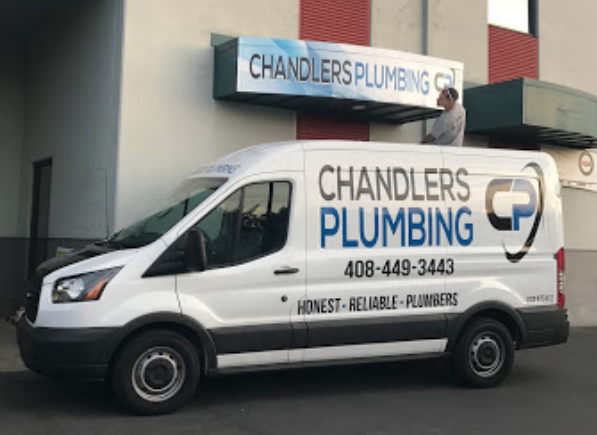 At Chandlers Plumbing, we offer a drain cleaning service to Milpitas and surrounding communities including San Jose, Monte Sereno, Sunnyvale, Mountain View, Santa Clara, Morgan Hill, Saratoga and many others. We have years of experience of providing honest and reliable plumbing services to local homes and businesses. Our expert drain cleaning team answers the phone daily in order to answer your questions about all of our products and the entire service list we provide. Call us today at (408) 449-3443 to schedule a drain cleaning service in Milpitas California or to receive more information on our services and the products we offer to all of our local customers.